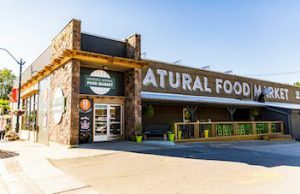 We are so excited that Muskoka Natural Food Market has a big bright new location! Right on Manitoba Street, with lots of parking and an awesome patio to enjoy all the tasty delights from the Deli Lama and Buddha Bakery. Specializing in organic, vegan, gluten-free foods, MNFN has long been our “go-to” for a healthy lunch and the deliciousness-factor cannot be overlooked. My personal favorite are the salads – so many varieties to try. 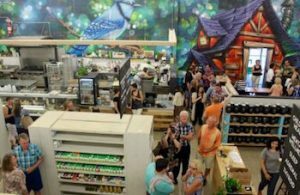 Now they have this huge market full of natural ingredients or products for home. Groceries, cleaning supplies, health supplements, you name it. We love the new location and wish the owners every success.